Worldwide spending on the Internet of Things (IoT) is forecast to reach US$745 billion in 2019, representing an increase of 15.4 per cent over the US$646 billion spent in 2018. According to IDC research, global investments will maintain a double-digit annual growth rate throughout the 2017-2022 forecast period, surpassing the US$1 trillion mark by 2022. 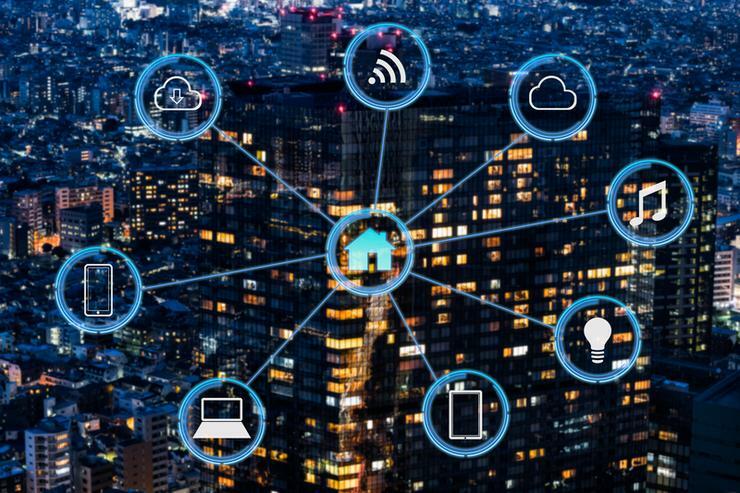 “Adoption of IoT is happening across industries, in governments, and in consumers' daily lives,” said Carrie MacGillivray, vice president of Internet of Things and Mobility at IDC. “We are increasingly observing how data generated by connected devices is helping businesses run more efficiently, gain insight into business processes, and make real-time decisions. “For consumers, access to data is changing how they are informed about the status of households, vehicles, and family members as well as their own health and fitness. It is expected that industries such as discrete manufacturing (US$119 billion), process manufacturing (US$78 billion), transportation (US$71 billion) and utilities ($61 billion) are expected to spend the most on IoT solutions in 2019. “Consumer IoT spending will reach US$108 billion in 2019, making it the second largest industry segment,” added Marcus Torchia, research director of Customer Insights & Analysis at IDC. “The leading consumer use cases will be related to the smart home, personal wellness, and connected vehicle infotainment. "Within smart home, home automation and smart appliances will both experience strong spending growth over the forecast period and will help to make consumer the fastest growing industry segment overall with a five-year CAGR of 17.8 per cent." IoT spending among manufacturerswill be largely focused on solutions that support manufacturing operations and production asset management. In transportation, more than half of IoT spending will go toward freight monitoring, followed by fleet management. While IoT spending in the utilities industry will be dominated by smart grids for electricity, gas, and water. The IoT use cases that will see the greatest levels of investment in 2019 are driven by the industry spending leaders: manufacturing operations (US$100 billion), production asset management (US$44.2 billion), smart home (US$44.1 billion), and freight monitoring (US$41.7 billion). Of note to the channel, IoT services will be the largest technology category in 2019 with US$258 billion going toward traditional IT and installation services as well as non-traditional device and operational services. Hardware spending will be close behind at US$250 billion led by more than US$200 billion in module/sensor purchases. Delving deeper, IoT software spending will total US$154 billion in 2019 and will see the fastest growth over the five-year forecast period with a CAGR of 16.6 per cent. Services spending will also grow faster than overall IoT spending with a CAGR of 14.2 per cent while IoT connectivity spending will total US$83 billion in 2019.